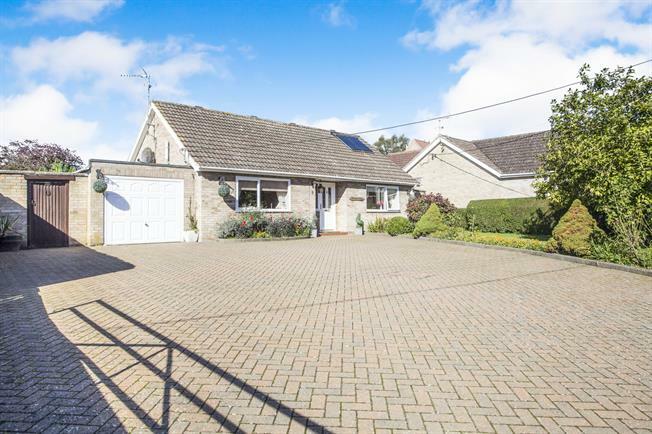 3 Bedroom Detached Bungalow For Sale in Downham Market for Offers in excess of £325,000. You will find in one of the most desirable villages, this detached non estate chalet bungalow with a spectacular and captivating rear garden. The property offers versatile accommodation, on the ground floor there is a spacious lounge/diner 24', a garden room of 21' making the most of the garden, master double bedroom, fitted kitchen 13'11", utility 13'11 and four piece bathroom. Whilst on the first floor there are two further double bedrooms with an en-suite cloakroom. Further benefits include a garage, ample parking for numerous vehicles, gas central heating and double glazing. Window to front. Stairs to first floor with under stairs cupboard. Radiator. Window to front and French doors to rear with windows to each side. Inset electric fire with wood mantle over. Four wall lights and two radiators. Windows to rear and side and door into utility. Fitted with a range of wall and base units with worktop over, incorporating a sink and drainer unit. Integrated fridge, oven, ceramic hob and extractor. Tiled floor and radiator. Range of windows to rear and door to side. Fitted with a range of wall and base units with worktop over, incorporating a sink and drainer unit. Space for dishwasher and washing machine. Gas fired central heating boiler and radiator. Range of windows to rear. Radiator. Fitted with a four piece suite comprising of panelled bath, shower cubicle, vanity wash hand basin and low level toilet. Heated towel rail. Window to front. 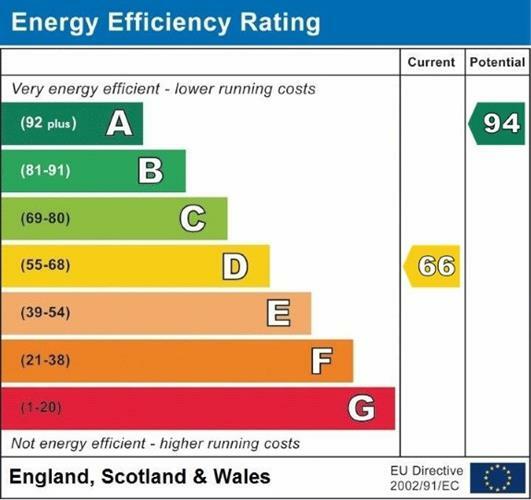 Range of fitted wardrobes and radiator. Skylight to rear. Eaves storage and radiator. The front of the property is enclosed by a five bar gate, fencing and hedging. There is an extensive area of brick weave providing parking for numerous vehicles and leading to a garage. The enchanting rear garden is fully established with a range of mature flowering shrubs and borders. There is also an area of lawn, patio and feature pond.